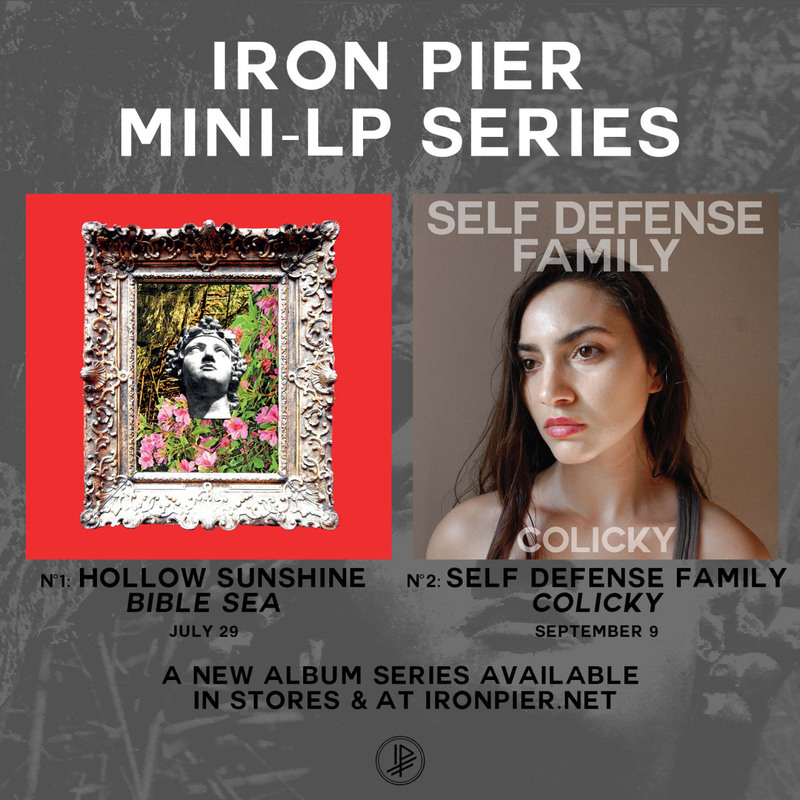 Iron Pier's Mini-LP series is designed to showcase album-length concepts with shorter run times of around 20 minutes. Each MLP will feature multiple color vinyl combinations, unique packaging, and a series-specific OBI strip. Hollow Sunshine's entry, Bible Sea, is available on Yellow/Black A-side/B-side color and black vinyl, enclosed in a full-color dust sleeve and in an outer sleeve with a flood-black interior. Self Defense Family's Colicky will be available in several vinyl color combinations and will feature a printed inner sleeve as well as a translucent Spot-UV gloss design on the outer sleeve.